Lemonade is an all too common summer drink. I have tried many lemonade variations - strawberry, watermelon, peach, and pomegranates. All turned out pleasingly great. This summer, I wanted to try something different. 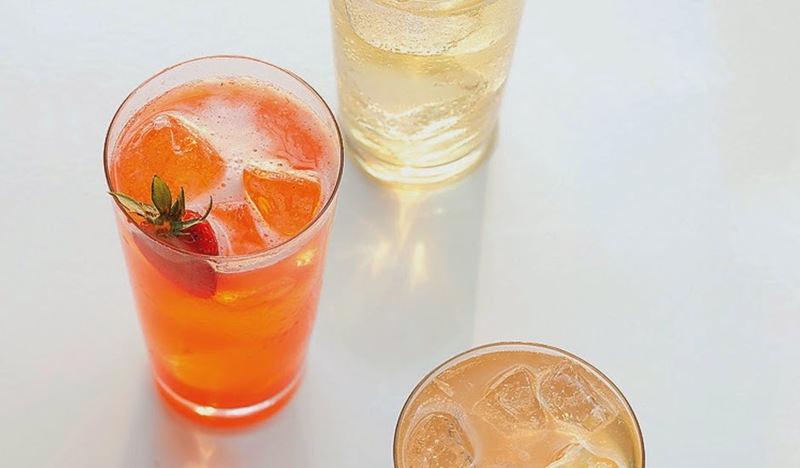 Here is an easy non-alcohol summer drink using just a few fresh ingredients. It was a hit at my recent family gathering. I only modified the recipe by reducing the sugar a tad bit. The recipe calls for a pinch of kosher salt. If you don't have kosher salt, then I suggest you use a small pinch of regular sea salt. Why? Because kosher salt has bigger crystals so a pinch of it actually contains less salt than a pinch of regular sea salt. 1 - Combine fresh lemon juice, raw sugar, basil, whole strawberries, and salt in a pint glass. 2 - Muddle ingredients with a muddler or the handle of a wooden spoon until sugar dissolves. 3 - Add ice cubes and soda water and stir until chilled. 4 - Strain into a 12-oz. glass filled with ice cubes and garnish with a strawberry slice.